Great value tour! The tour guide brought us to 4 different spots to see Mt Fuji, luckily the cherry blossoms were in full bloom at the time we visited so it was very pretty! 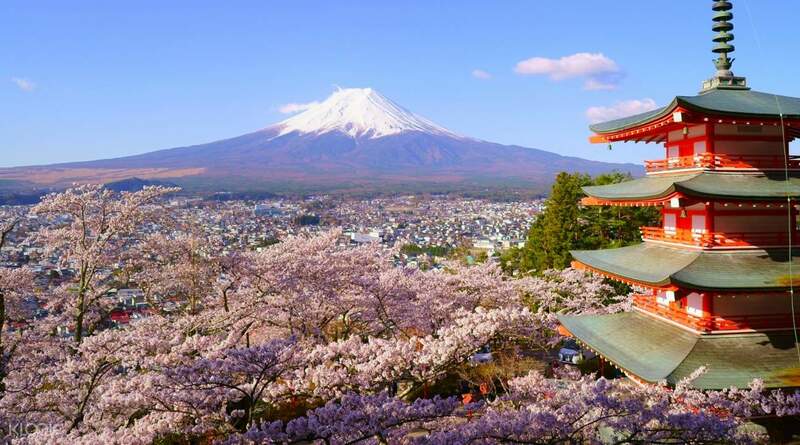 Tick off your Japan bucketlist on your dual visit to the iconic Mount Fuji and Lake Kawaguchi, which makes up one of the five Fuji lakes in the most-visited resort town in the region. Discover the best of the famed pilgrimage site on this sightseeing tour with multiple pick up locations at Tokyo Bunka Kaikan and the VIP Lounge Shinjuku in the Japanese capital. Journey through the city via a direct bus connection and witness the breathtaking transition from the towering skyscrapers to the charming countryside lined with mountainous terrains, flowing rivers, and more stunning vistas that make up the naturescape every tourist is on the lookout for. Arrive at the Arakurayama Sengen Park, a five-storey pagoda described as the best location for shooting the active volcano and widely considered as one of the best Japanese landmarks. 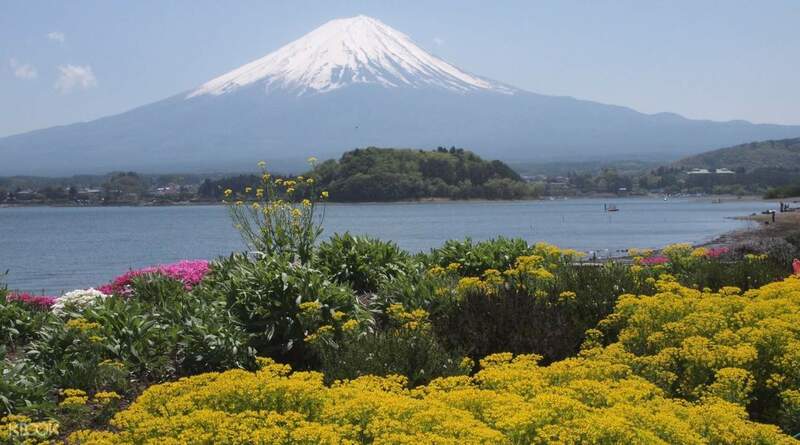 The venue is a remarkable site no matter the season; once you've reached the top, you'll be rewarded with dramatic views of Mount Fuji, wild cherry blossom trees, and a breathtaking panorama of the island. 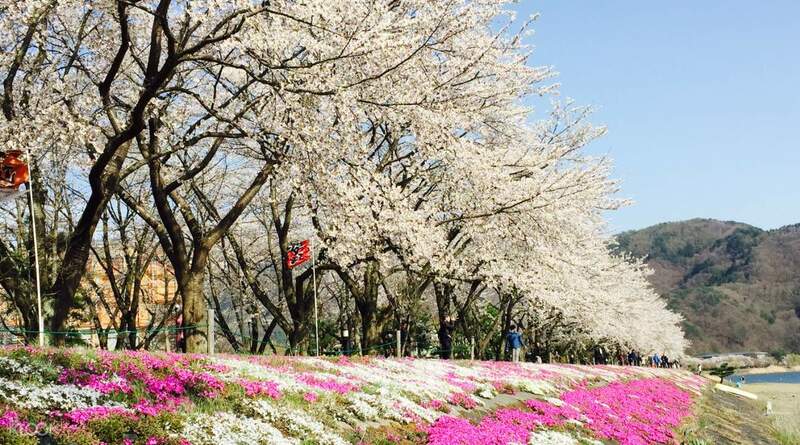 Visit Oishi Park next and enjoy a relaxing stroll along Flowers Road, located on the north shore of Lake Kawaguchi. 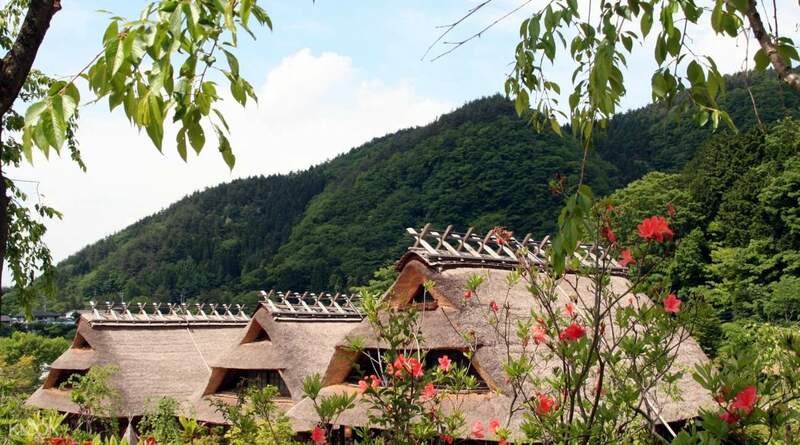 Devote your spiritual curiosities on your visit to the Healing Village, a traditional Japanese village that houses the Yosho Shrine and is famous for their kimono and samurai rentals available on site. End the tour as you head to your bus accommodation back to your origin destination in Shinjuku. Very fun ativitities, cool tour guides and cozy bus. This tour is recommended for solo travelers like me or even for couples, and you won't get leftout because they speak English. Kudos to our tour guide, Yuki who've done her job very, very well (and to her Chinese assistant too). Very fun ativitities, cool tour guides and cozy bus. This tour is recommended for solo travelers like me or even for couples, and you won't get leftout because they speak English. Kudos to our tour guide, Yuki who've done her job very, very well (and to her Chinese assistant too). Doubt at first due to lack of booking compare to other tours but a day well spent with this tour. The only downside was Sakura not yet fully bloomed during my time went there but the view of Mount Fuji itself was very clear and breathtaking! The meeting place was quite confusing with the direction provided. You can just look for Hooters Shinjuku, the building is across from it. Doubt at first due to lack of booking compare to other tours but a day well spent with this tour. The only downside was Sakura not yet fully bloomed during my time went there but the view of Mount Fuji itself was very clear and breathtaking! The meeting place was quite confusing with the direction provided. You can just look for Hooters Shinjuku, the building is across from it. The sightseeing spots visited in the tour are all good spots to see the Mt. Fuji. It was cloudy when we did the tour, so we were not able to see Mt. Fuji except on our last stop. I wish the Tour Guide was also more clear in giving instructions. She kept on saying, “look at this side” instead of “right side/left side.” We were seated at the back and cannot see which side she is referring to. There were also instances where in she would ask “Do you know why?” to share a trivia. But she would not answer her own question. So we never knew what trivia she was trying to share. Tip: The tour guide might recommend to order the Hotou ramen for lunch. It is worth ¥1,000. For me, I did not enjoy the food. I should have just spent the money to buy ramen at Ichiran. The sightseeing spots visited in the tour are all good spots to see the Mt. Fuji. It was cloudy when we did the tour, so we were not able to see Mt. Fuji except on our last stop. I wish the Tour Guide was also more clear in giving instructions. She kept on saying, “look at this side” instead of “right side/left side.” We were seated at the back and cannot see which side she is referring to. There were also instances where in she would ask “Do you know why?” to share a trivia. But she would not answer her own question. So we never knew what trivia she was trying to share. Tip: The tour guide might recommend to order the Hotou ramen for lunch. It is worth ¥1,000. For me, I did not enjoy the food. I should have just spent the money to buy ramen at Ichiran. It was a good experience but very fast paced! The tour guide was saying “hurry up! Hurry up!” when people are already walking as fast as they can then at the last stop (the healing village) we have an hour to stay even when there wasn’t much to see. The only thing i liked there was when we got there, Mt. Fuji summit cleared up so we still got pictures. When we were at the pagoda and lake, we barely saw mt. Fuji. Only an hour at the pagoda when I think it should be more considering we’d still have to walk to the park and go up the super high set of stairs to reach the pagoda. I was with my mom who can’t endure much walking and flights of stairs. We didn’t like the lunch. There were very few choices but we totally understand that since it’s already really far from the city. But the sesame ice cream was yummy! We just ate a lot when we got back to the city. Overall, it was a good tour and it served its purpose of us seeing mt. Fuji closer than being in tokyo. It was a good experience but very fast paced! The tour guide was saying “hurry up! Hurry up!” when people are already walking as fast as they can then at the last stop (the healing village) we have an hour to stay even when there wasn’t much to see. The only thing i liked there was when we got there, Mt. Fuji summit cleared up so we still got pictures. When we were at the pagoda and lake, we barely saw mt. Fuji. Only an hour at the pagoda when I think it should be more considering we’d still have to walk to the park and go up the super high set of stairs to reach the pagoda. I was with my mom who can’t endure much walking and flights of stairs. We didn’t like the lunch. There were very few choices but we totally understand that since it’s already really far from the city. But the sesame ice cream was yummy! We just ate a lot when we got back to the city. Overall, it was a good tour and it served its purpose of us seeing mt. Fuji closer than being in tokyo. Tour guide Aira-san was very friendly, soft-spoken, polite and punctual. She's unlike other guides who are very bossy or even rude. I gave 4 stars because I feel that the Pagoda leg of the trip was too short. Come to think of it, most activities were too short to be enjoyed fully. The stamps collection can be removed and use those times for extra leisure time. The lunch stopover was quite expensive and not very delicious nor ample for its taste. Hopefully they'll partner with food establishments to give subsidized or discounted rates for customers. I made new friends in this tour. Would've been nice if the tour had a group picture of some sort. Tour guide Aira-san was very friendly, soft-spoken, polite and punctual. She's unlike other guides who are very bossy or even rude. I gave 4 stars because I feel that the Pagoda leg of the trip was too short. Come to think of it, most activities were too short to be enjoyed fully. The stamps collection can be removed and use those times for extra leisure time. The lunch stopover was quite expensive and not very delicious nor ample for its taste. Hopefully they'll partner with food establishments to give subsidized or discounted rates for customers. I made new friends in this tour. Would've been nice if the tour had a group picture of some sort. Arrived at the location a little early. But no info was given until 830. Bus ride around 2hours. No stopover since the driver said it was crowded. Our group had 2 guides, english and chinese guide. Very informative. Overall, we had enough time to go around. But since it was winter, not much to adore. Make sure to try the fuji apple and ice creams. Must try!! Arrived at the location a little early. But no info was given until 830. Bus ride around 2hours. No stopover since the driver said it was crowded. Our group had 2 guides, english and chinese guide. Very informative. Overall, we had enough time to go around. But since it was winter, not much to adore. Make sure to try the fuji apple and ice creams. Must try!! We had a great time and wonderful experience. Glad we booked this activity in Klook. We'll surely book next time. We had a great time and wonderful experience. Glad we booked this activity in Klook. We'll surely book next time. It was a great experience with Klook, both of our tour leaders are great. At first I was a bit worry about the service, because the reviews are not so good. But after we (a family of 10 people) join the tour , we trully satisfied with all the arrangement. Thank you for leaving us great memories. It was a great experience with Klook, both of our tour leaders are great. At first I was a bit worry about the service, because the reviews are not so good. But after we (a family of 10 people) join the tour , we trully satisfied with all the arrangement. Thank you for leaving us great memories.